Social media have started to function as an important tool in digital marketing campaigns in recent years. The new focus is though in paid social media marketing that has emerged strongly and complementing well with the organic social media campaigns. Thus, in the present competitive market scenario, Business-to-Business or B2B marketers have to function as a marketer with a revolutionary vision having in depth knowledge and experience in both paid and organic social media campaigns. Even a few years back, it was not so impossible to create considerable social engagement and movement through organic route, especially on Facebook. However, this seems quite impossible to achieve in today’s scenario and no brand rely heavily only on organic social media anymore. In reality, the brand marketers are observing a sharp drop on their organic reach that often went down almost to 1% of their total fan base. This is mainly because of the new “pay-to-play” approach from Facebook that have its own secret PageRank algorithm to promote paid campaigns over organic engagement. Therefore, advertising through paid social media has emerged as an essential need for B2B social media marketing to address the issue of decreased organic visibility. The benefits of paid social media in the context of current market trends. The benefits of paid social media act similar to targeting the pay-per-click ads having low cost that work by marketers paying for each interaction in social media; instead of impressions of online advertisements in traditional pay-per-click ads. As per the 2015 marketing report of Salesforce, a considerable fraction of the majority of the marketers (about 70%) is preparing to increase their spending on advertisements on social media. As a result, the current B2B marketers need to operate in a sort of revolutionary way, having the capability of evolving unique ideas as well as possessing enough knowledge and experience of both paid and organic social media. Although, the recent trend is that the B2B marketing companies have started using paid social media advertising in their existing strategies of digital marketing, paid social media still remains a marketing approach that is often underfunded and underestimated. So, never overlook the tremendous potential of the paid social media campaigns compared to the organic engagement in the context of recent changes in Facebook Algorithm. With a relatively small investment you can usually rip off some exciting benefits. 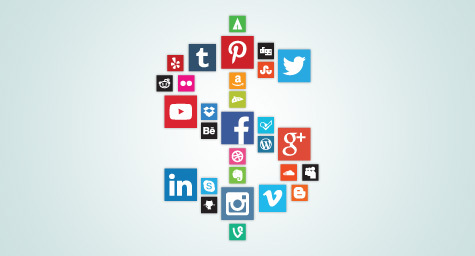 You will find that every prominent social media networks such as Twitter, YouTube, Facebook, StumbleUpon, LinkedIn or Reddit run their own paid advertising services. Paid social media campaigns had been recently added by Instagram and Pinterest as well. A post without paid support is completely dependent on luck and there is no assurance of reaching to your fans. Paid social media makes it possible for your post to reach a varied audience based on desired location, behavior and interest. Moreover, it increases the reach to specific audience having interest towards the type of content you are promoting. Always invest only in the potent content Getting your contents reach the right audience is no doubt a great achievement and that ensure that you won half of the battle. But, mind you it is only half the battle. The rest again depends on the content quality. Content quality plays a significant part in digital marketing, thus you must have a good share of investment in creating engaging content that will do well in both paid and organic distribution through social media. Quality contents with the right marketing strategy can only do your job satisfactorily. So, look out for talented coders or designers who can produce the right blog posts and landing pages. Club them with creative writers who will be able to fill in the space with convincing stories and marketing languages that the audience will like, share and respond. Focusing on easily shareable content formats such as infographics, video or vine is a good idea. Have a well planned budget for your social media campaigns and content development. In conclusion, it is now clear that you cannot depend solely on organic engagement anymore and have to mix it with paid social media. Then invest in influential, engaging and rich contents delivered on a well designed website. Your brand will definitely get engaged with your target audience. Don't forget to follow the blog AKBlogs on facebook and Twitter.